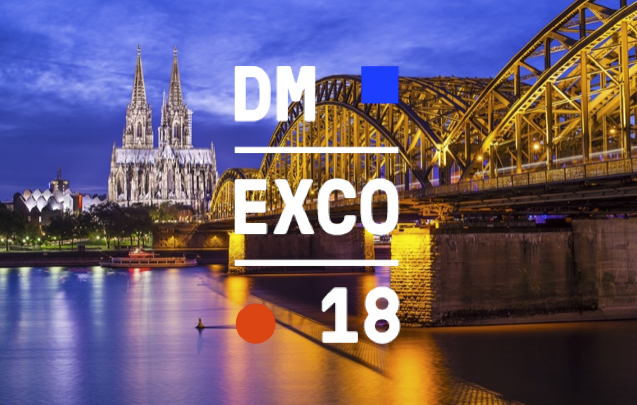 Providing an important gauge on a new age for digital marketing, the annual DMEXCO conference and expo took place on September 12th and 13th in Cologne, Germany. Against a backdrop of rapid change in the industry, two action-packed days featured notable spokespeople and hot topics from the likes of Amazon, Microsoft and Baidu. We highlight three key trends that came out of the event this year. As this year’s event was the first DMEXCO to take place since the advent of the EU General Data Protection Regulation (GDPR) it’s no surprise that consumer trust was the topic on everyone’s lips. Add in the recent Cambridge Analytica scandal, and it seemed you couldn’t attend a talk without someone mentioning just how important trust is to the relationship with your customers. Customers – who, with a press of a switch or swipe of a fingertip, can delete your app, log out of their account and refuse marketing messages – hold all the power. Fail to be transparent about why you are collecting their data or continually bombard them with badly targeted ads and you’ll only serve to annoy them, damaging your company’s reputation and your brand in the process. As Bethan Crockett, Digital Risk Director at media company Group M, pointed out, our search needs to be for an engaged customer, not just any customer. She argues that a marketer’s mission should be to discover and market to a “true audience”, one who is truly receptive to messaging and advertising. Once found, that receptive, captured audience equates to serious competitive advantage. From personalised 3D avatars that try on clothes for people, to the mass adoption of voice assistants, artificial intelligence is taking an ever-greater role in customer’s lives. More than ten talks at DMEXCO this year were focused on the dynamic topic of AI and how it is reprogramming brand marketing. I would hazard a guess that another twenty managed to find some way to mention the subject. While there seemed to be a degree of fatigue around Blockchain technology this year – with marketers just seeking some clarity around the subject – when it comes to AI, the hype is still very real. Although experts can’t yet reach a consensus on just how much AI will change the workforce of the future, one thing brand leaders agree on is that AI has the capacity to change marketing forever. Yet, as Microsoft’s Axel Steinman made clear, in order that AI be used effectively and fairly, the technology needs to be democratised. “There are very few companies who can afford the millions of dollars-worth of investment to develop AI capabilities”, he notes. “Therefore, we need to make sure that every person who has a good idea for a product or a service can liberate that”. Then, he argued, AI can help even the smallest companies compete with the biggest industry players. Once companies everywhere can use AI, the industry must embrace it: testing, learning and optimising to discover how best to unlock the capability of AI within their own business. If the ascendancy of GAFA (the big tech four of Google, Apple, Facebook, and Amazon) still give you sleepless nights, you are in the running for more. According to DMEXCO 2018, it’s high time marketers started pondering ‘BAT’ – China’s digital giants Baidu, Alibaba and Tencent – too. China has become the fastest growing internet nation worldwide: after only twenty years in business, Alibaba now generates more than twice as much yearly turnover as Amazon and eBay combined; meanwhile, Tencent’s WeChat is the leading mobile commerce platform globally. This exponential growth has earned China’s digital behemoths the moniker ‘Silicon Dragon’ and at DMEXCO this year there was much chatter about the threat they pose to the digital giants of the West. Now far more open to foreign exports than it has ever been, there was a sense that commercial opportunities proliferate in China. Although competing there will not be easy, brands need to begin making steps to invest in the market soon or lose out in the long run. Rosie Hawkins, Chief Innovation Officer at Kantar, argues that, although the dynamics of the Chinese market are vastly different than in the West, much of that difference will soon begin to filter through. Failure to recognise the significant weight that China carries now could lead to difficulties later when Chinese brands begin to aggressively expand into European and American markets over the next few years. Brands need to go to China as very soon China will come to them. It was a positive and enlightening two days in Cologne, with marketers excited by technologies within their grasp. However, as much as there is buzz, there remains doubt and indecision around the significance of technologies like Blockchain, AI and Voice, particularly on how they will affect marketing going forward. There is certainly a great deal of uncertainty about the shape of things to come and marketers need to ensure they remain tuned in and educated about how these pieces of technology can help drive the marketing function forward to ensure they can truly take advantage of them. Despite this, DMEXCO buzzed with optimism about an exciting future for the marketing industry and I for one will be interested to see what DMEXCO 2019 will bring. As technology continues to change the world at a rapid speed, we all need to ensure we’re keeping up. Circus Street can help you achieve just that. We deliver the tools and training to give your teams the confidence, the understanding and the ability to create exceptional customer experiences, deliver effective campaigns, build strong brands and ultimately succeed in a technology-driven world. To discover what we have to offer, check out our lesson content on our YouTube channel, or go to our courses page to see the wide range of digital subjects covered by our training. Copyright © 2010-2019 Circus Street London Ltd. All Rights Reserved.